So you’ve identified a garden bully, invasive plants. A quick review of your options for dealing with them starts with breaking the reproductive cycle so they do not spread. Don’t let them go to seed, particularly if they’re annuals. Or use a pre-emergent treatment so the seeds don’t germinate. You can exhaust them by continued weeding, mowing, flaming or maybe grazing goats. And in the last resort category we have something that those folks back in ’96 lacked – herbicides, chemicals developed to take advantage of the plant’s weakness. Our garden centers have shelf after shelf of bagged and bottled herbicides, and it can be overwhelming when there are several brands with similar claims in big letters on the label. It’s the fine print and the instructions that you need to read, before you buy and then again before you mix and apply. For example, don’t buy a weed-preventer to kill existing weeds. And don’t expect an herbicide to make a distinction between a desirable plant and a weed. Dicamba will kill the roots of any plant, including desirable shrubs and 2,4-D will kill broad leaf weeds but not harm grass, which is why we use it on dandelions in the lawn grass but if it drifts onto a bed of pansies – bad news! 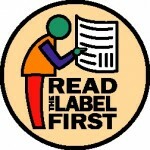 Read the label! Will a pint of diluted, ready-to-use product be all you need or would a gallon of the active ingredient be a much better buy? Maybe you could share with a neighbor. Or the whole neighborhood could attack kudzu at the same time. How will you apply the herbicide? Do you need to mix with water and spray the leaves? Or is it to be applied at full strength to the freshly-cut woody stump? Is this product less effective at certain temperatures or particular weather conditions? 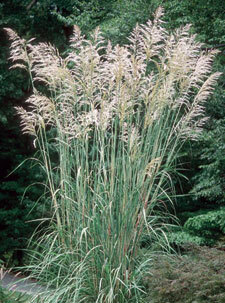 And if you have questions as to how to attack a particular weed, call the Extension Helpline 828-255-5522. Written by Extension Master Gardener Volunteer Glenn Palmer. Back in ’96, 1896 that is, the USDA was explaining to farmers* that “A large proportion of the plants growing along roadsides, on waste ground or older cultivated parts of this country are migratory weeds. They’re not native to where they are now found but have come from other countries or other places in this country.” USDA could use those same words to describe our situation today. Now we call them “invasives” but they move around by the same means as in 1896. When you think of it, plants have to be able to move or spread to make room for their offspring or find more habitable ground. That USDA Yearbook* went on to describe how plants do move about, starting with the natural methods such as runners. Others throw their seeds as the pod matures and dries. Some seeds such as dandelions or water walnuts are carried further by the wind. Some move by other clever means. Artificial methods of 1896 seed locomotion included one we don’t worry too much about these days – when “cheaper grades of imported crockery are packed in cheap hay or straw”. Or mixed with commercial seeds? 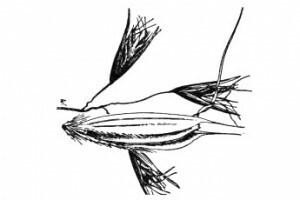 The Yearbook had drawings of different seeds so farmers could identify some common “good” vs bad. The need to clean farm machinery between work in different fields was mentioned. Hmmm, have you ever borrowed a neighbor’s mower? Or rented a tiller? They often come with seeds attached. The point is that now is the season to keep an eye out for newcomers on your homestead. Look for plants that seem to have spread rapidly, plants that weren’t there last year, or perhaps plants that you cannot identify. Get them while they’re small and easy to control just in case they might be bullies. If you do have a questionable plant, bring it in for identification. Remember that Extension has moved. We’re now at 49 Mt. Carmel Road in Erwin Hills. The phone number didn’t change: 828-255-5522. Next week part II will review options for dealing with those bullies. Written by Glenn Palmer, Extension Master Gardener Volunteer. 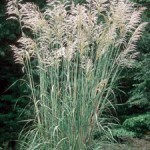 So, on your homestead you’ve got kudzu, Oriental bittersweet, great big clumps of Miscanthus (Chinese silvergrass) and some bullies that you’ve not yet been able to identify but you know from the way they’re behaving that they’re indeed bullies, not something you want in your landscape. Fall is a great time of year to take or plan to take the first steps toward eliminating them. You do have a variety of options and some work better than others for a particular bully so the first step is to identify them. If you need help you can always bring us a sample, a branch with several leaves and maybe the fruit. If you’re sure of the name give us a call and we can discuss which option should work best for you. Break the reproductive cycle. This works best for annual or biennial plants, plants that go through their entire life cycle, from seed to flower to seed in one (annual), or two (biennial) growing seasons. One way is to prevent the seed from germinating in the first place. This is the approach many homeowners use for treating annual weeds in lawns. There are also natural and chemical pre-emergent treatments available. Or, in small areas you can make a practice of cutting off the flowers by hand before they go to seed. Bag those flowers for the landfill rather than putting them in your compost. Another option is exhaustion, wearing the plant out by using up all of its energy and preventing it from growing at all by frequent mowing for example. 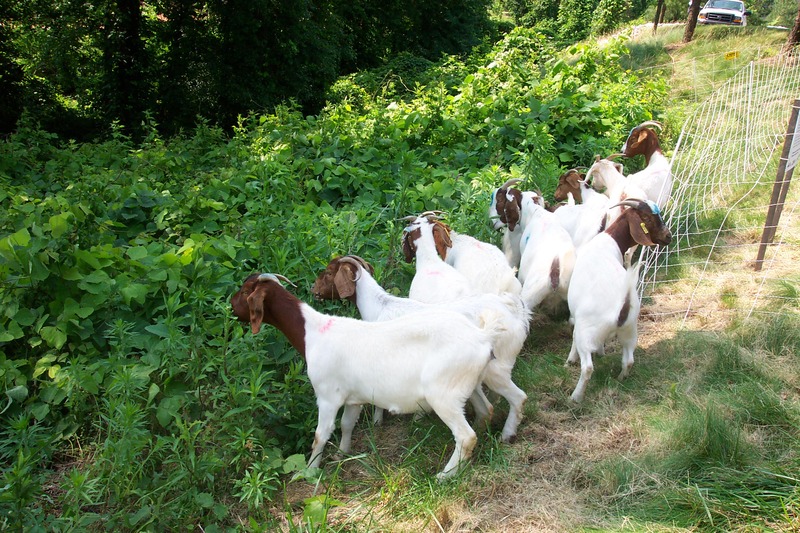 Goats can do the same thing, and there are a number of local folks in the rent-a-goat business. Flame, torching the plant to the ground is another option but can be a fire hazard. Physical removal of the plant by manually pulling or disking with a machine or tiller may be appropriate in some cases or with some species but not for others. It’s important to not leave any pieces of the root in the ground or you’ll likely have a reappearance. Finally, we have the option of using a chemical herbicide. These are classified by their mode of action (MOA) or how they actually work. Some are contact, damaging tissues they actually touch, while others are systemic and kill from within after being absorbed into the plant through the roots or leaves. Selective chemicals may work, for example, only against grasses but not broadleaf plants or vice versa. 2,4-D which kills broad leaf plants like dandelions in a lawn without harming the grass for example, is a selective systemic. Glyphosate, aka Roundup will kill any plant, including your lawn. Now, after a full season of growth, is the absolute best time of year to get out and look for new bullies in your yard, garden or woods or along the road. Plants that are taking over, climbing on their neighbors, acting like genuine BULLIES. Call us for help in identifying and in choosing your course and timing of your bully-busting campaign. 828-255-5522.